SHANGHAI (Bloomberg) -- Toyota Motor Corp., which fended off Volkswagen Group to remain the best-selling automaker worldwide in 2014, may lose the sales crown as early as this year as it falls behind in China, the world's biggest auto market. Toyota is predicting that its global deliveries will decline 1 percent in 2015 to 10.15 million vehicles, or just 10,000 units more than what Volkswagen sold worldwide last year. VW is opening a new factory this year in Changsha, China, which will add capacity for another 300,000 vehicles annually. As Volkswagen and General Motors Co., the global No. 3, add factories to bolster their already-dominant position in China, Toyota President Akio Toyoda's strategy of foregoing new car plants until at least next year could result in the first shakeup in auto-sales leadership since 2011. Toyota ranks sixth among global automakers in China and sells less than one-third as many vehicles as its two main competitors in the market. "The difference is that Volkswagen has a jet engine strapped to its back called 'China'," said Bill Russo, Shanghai-based managing director at Gao Feng Advisory Co. "Toyota, unfortunately, is in a position of weakness when it comes to the China market. It would be almost impossible to hold on to a number one position without being in the lead in China, and Toyota's not even in that league." Worldwide sales for Toyota, including at its Hino Motors Ltd. and Daihatsu Motor Co. units, climbed 3 percent to 10.23 million vehicles in 2014. Volkswagen last week reported a 4 percent gain to 10.14 million vehicles that included its two heavy-truck units. GM followed with sales of 9.92 million units, up 2 percent. Volkswagen and GM haven't announced projections for this year. Toyota, which hasn't built an assembly plant in China since 2012 and faces a self-imposed moratorium on new factories until next year, will fall behind even further as Volkswagen and GM step up their expansion plans. GM has announced plans to add five new plants in China by 2018 even though President Dan Ammann said the market is "maturing rapidly." Volkswagen expects to raise its China plant capacity to more than 4 million vehicles by 2018 from 3.1 million at end 2013, according to the company. Mainland China and Hong Kong accounted for a record 3.67 million deliveries at Volkswagen Group last year, up 12 percent and extending the country's lead as the German manufacturer's largest single market. By comparison, Toyota missed its sales projection for 1.1 million units in China in 2014, even as the Corolla and the Levin compact cars helped boost sales 13 percent to 1.03 million units. The company kept its China sales target unchanged for this year. But even though Toyota may cede the sales leadership, it still out earns Volkswagen. Analysts estimate Toyota earned a profit of 1.96 trillion yen ($16.7 billion) last calendar year, compared with 10.7 billion euros ($12.4 billion) at Volkswagen. "Their [Toyota’s] focus is not No. 1," said Peggy Furusaka, a Tokyo-based auto-credit analyst at Moody's Investors Service. "Toyota is more concerned about keeping profitability than chasing numbers. So for coming years, I wouldn't be surprised to see Toyota selling fewer cars than Volkswagen." Toyota's also-ran status in China is compounded by threats by its dealers to drop out of its network, citing poor sales and a lack of profit. 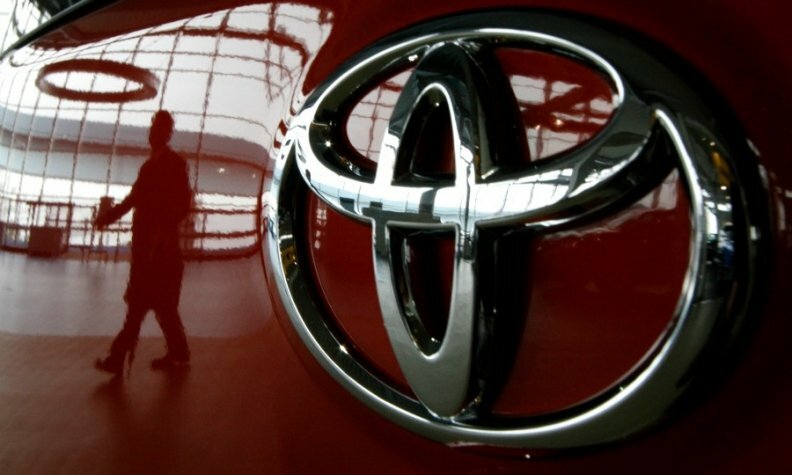 As many as 10 percent of dealers for one of Toyota's China ventures could abandon the brand, according to the China Automobile Dealers Association. Among the 523 distributors in the FAW-Toyota Motor Sales Co. group, 95 percent are losing money, with some dealers stopping sales or shutting down altogether because of the losses, the state-backed dealer's group said. Vehicle sales growth slowed last year in China in tandem with the nation's weakest economic growth since 1990. Deliveries are forecast to gain 8 percent to about 21.3 million passenger vehicles this year, according to the state-backed China Association of Automobile Manufacturers. "As long as China is growing rapidly, Toyota will need to build new factories there," said Yoshiaki Kawano, an analyst with IHS Automotive in Tokyo. "They are probably reserving some energy for growth in the longer term, as they are trying to improve the efficiency at their existing plants."